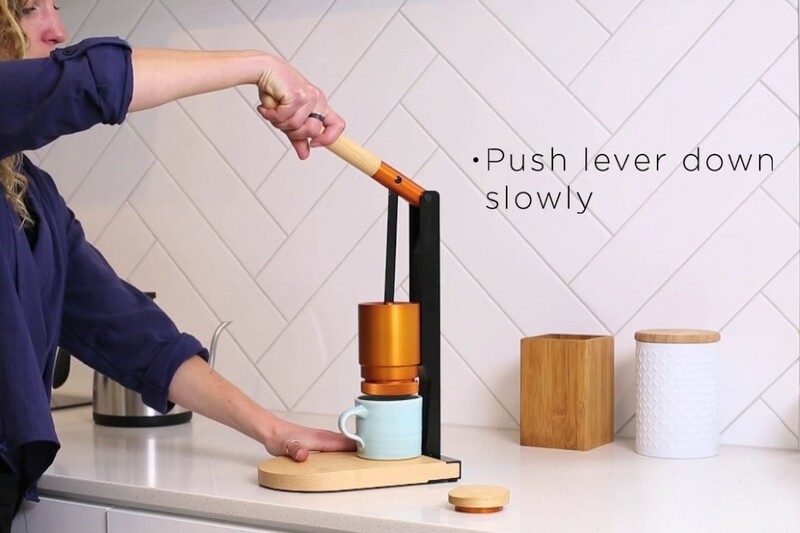 Essentially the most simplified version of a french press, the Newton is effortless because it uses a Type 2 Lever to reduce the amount of effort needed to extract every single bit of goodness from your grounds. 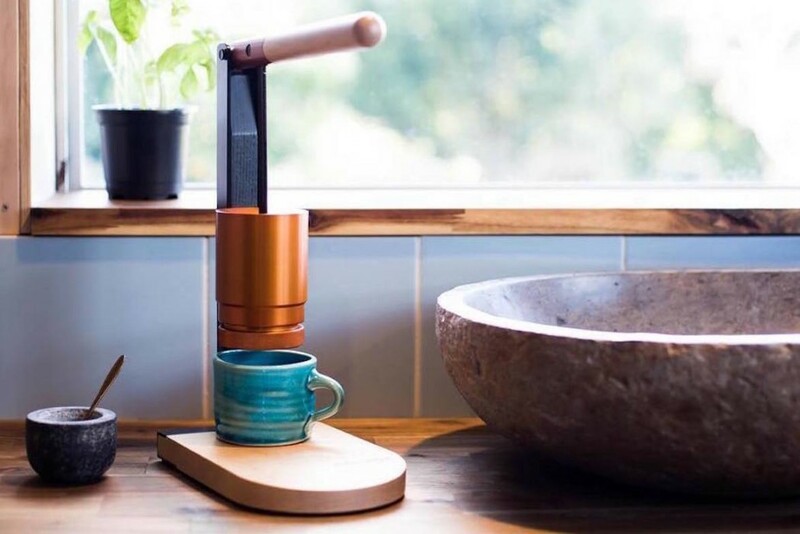 This rather fresh looking device sits on any table-top or even wall-mounts, not letting a small or cluttered kitchen stop you from getting your daily fix. The steps are pretty simple too. 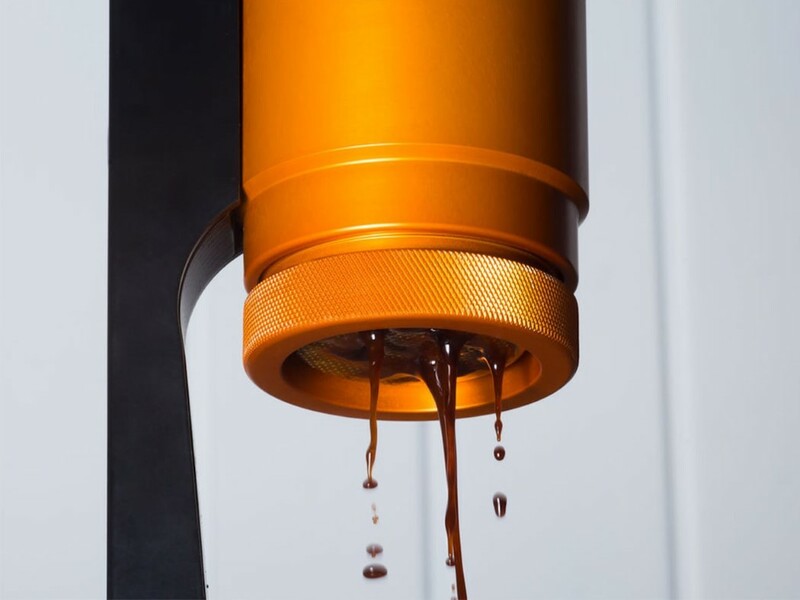 Start with a nice hot cup, place and press your coffee grounds into the lower chamber of the Newton. Screw the lower chamber into place and pour hot water into the upper chamber before pulling the lever up. Then delight in the hipster routine of pumping the water through the grounds and out the bottom into your toasty hot coffee cup. The entire process is fun, non-electric, and effortless. The Newton uses high-quality seals, piston design, and a leverage system to give you 8-10 bars of pressure. 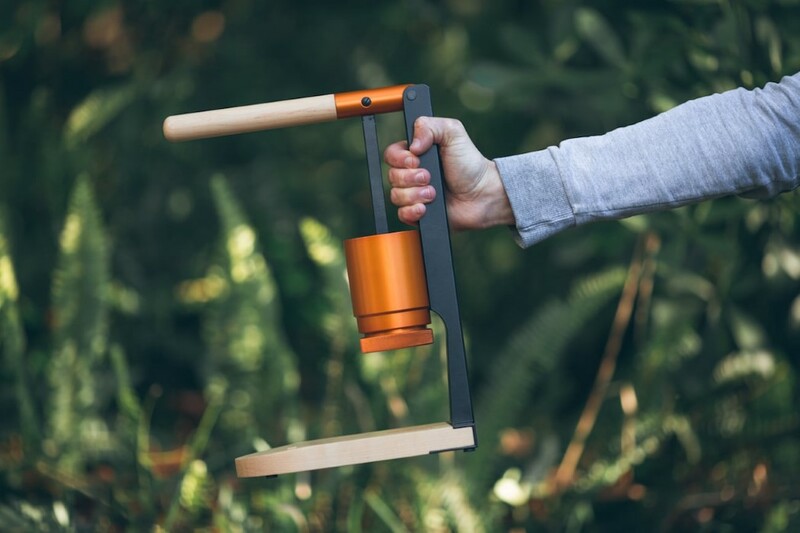 Depending on how hard you press down on the lever, and how coarse or fine your coffee grounds are, you should be able to perfect the art of making coffee that’s a 100% product of your work. 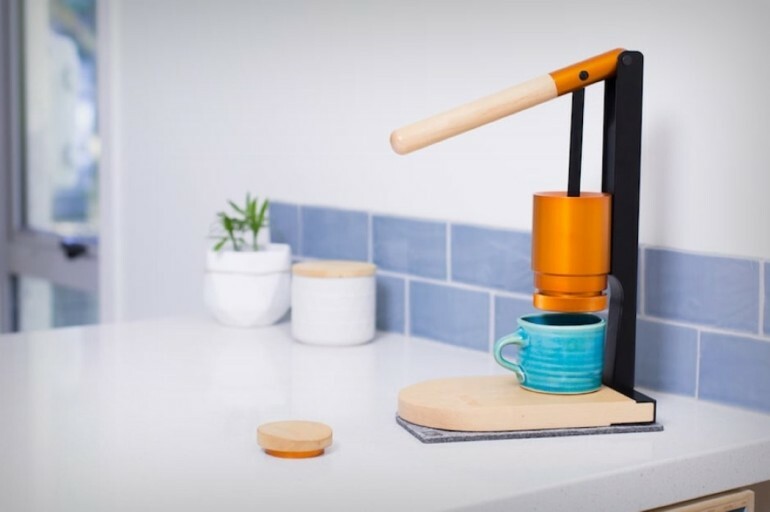 Plus, its unusual wood, black sheet metal, and orange anodized aluminum color combination will definitely add a splash of energy to your kitchens and your mornings! The Plankpad by Passionfruit B.V.